Game GuidesLatest exclusive guides Member WalkthroughsLatest walkthroughsNew QuestionsCan you answer these? 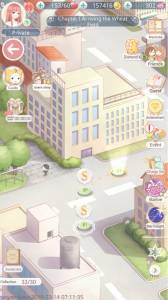 Latest PostsWhat new on the forumsForum SearchFind the forums for youForum GamesTime to waste? world run by fashion, each step of the way is a fashion battle -- which means you are supposed to battle with each character you meet along your way -- might that be for sports wear, festival wear, school wear, and what not. 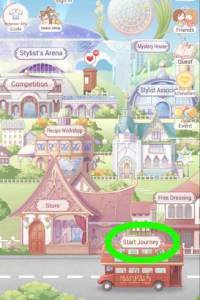 If you are playing the first time and you're on your first few hours in the game, you wont be able to notice the different modes of the game -- at least until you've completed a chapter in the game as the princess mode of a pertaining chapter wont be available until you've completed the maiden mode. What the princess mode really is - is a harder mode of the similar chapter. What it has in store for you are better rewards upon completing them. Additionally, you should take note that the Princess mode consumes more stamina (6 per trial compared to that of just 4 stamina on maiden mode). Each level can be engaged a maximum of 3 attempts (either to beat it or similarly if you are just trying to earn an "S" rating). Any additional attempt would generally set you back 30 diamonds -- so take your time to plan Nikki's outfit well. What's good about the princess mode too is that the items you'll be able to earn from here (battle rewards) can be used for crafting in the Recipe Workshop -- meaning they can be evolved into something unique (and better to boot) to add to your wardrobe. Apart form the main sequence of levels branching out one after the other, you'll sometimes see over-arching levels in a chapter that do not necessarily need to be played in order to progress in the concluding chapters of the game. However, these side quests usually endow you with unique items as rewards -- that are just too good to miss most of the time. So we highly advise to take the time to play these levels anyway! Please do not be rude, what may be obvious to you may not be to others. No discussions open for at the moment. © Web Media Network Limited, 1999 - 2018. This site is not affiliated in any way with Microsoft, Sony, Sega, Nintendo or any video game publishers.